The enchanting Mermaid Hotel and Club is an ideal choice for couples looking to enjoy a delightful romantic getaway in a divine tropical sanctuary by the sea. Situated in a peaceful fishing village, close to the town of Kalutara on the southern coast of Sri Lanka, the hotel boasts all the modern luxuries needed for an exquisite break in this spectacular location. Guests can spend their days lazing in the sun beside 1 of the 2 swimming pools, or while away the hours on the soft sand beside the magnificent turquoise waters of the Indian Ocean. When it comes to dining, the Mermaid serves up a number of options, with guests able to enjoy a buffet feast, a range of a la carte dishes, or a romantic dinner served in the gardens, by the pool or on the beach. 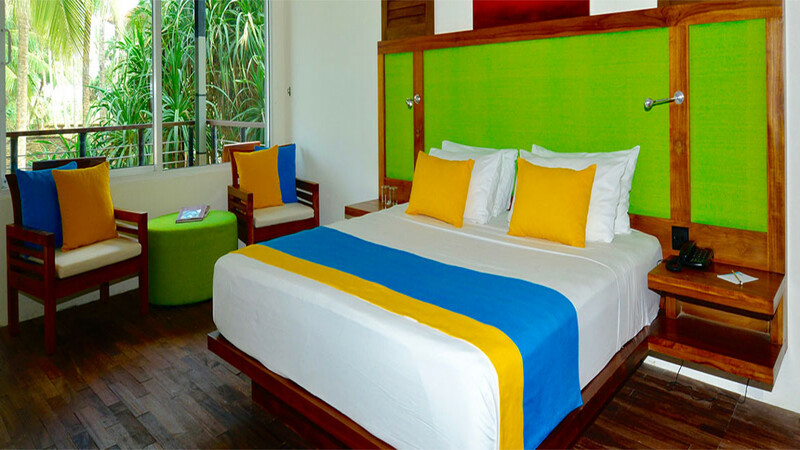 If you find you need to cool off a little, the hotel’s comfortable rooms provide a great space where you can recharge your batteries. When you’re feeling re-energised, Sri Lanka offers a whole host of wild and wonderful attractions that should not be missed. The island is home to a number of spectacular nature reserves, where you can marvel at buffalo, crocodiles, sambar deer and Indian elephants. Kalutara itself also boast the Kalutara Chaitya, the world’s only hollow Buddhist shrine, containing a number of murals each representing a different aspect of the Budda’s life. With all this to enjoy, you’re sure to have an unforgettable time on this magnificent paradise island. 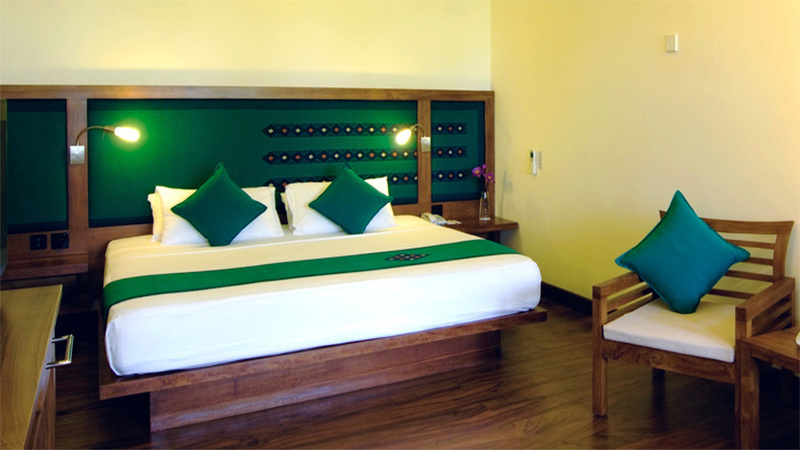 The Mermaid Hotel and Club is situated beside the golden sands of Kalutara Beach. A small selection of shops can be found approximately 600 metres along the beach from the Mermaid Hotel, while a larger number of restaurants and shops can be found around 1.3km away in Mahawaskaduwa South. 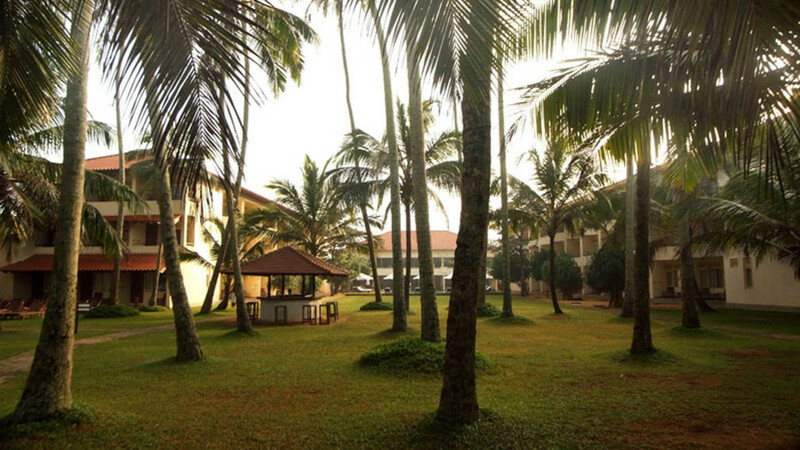 The small town of Kalutara is also approximately 4.3km away from the hotel. Ratmalana Airport is approximately 26km away from the Mermaid hotel. 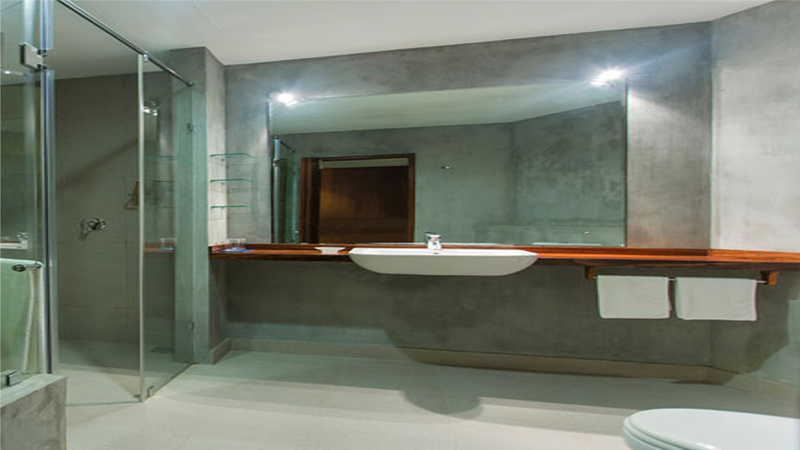 If you’re seeking a little extra luxury, the Deluxe Sea View rooms will be right up your street. These elegant rooms provide guests with stunning views of the Indian Ocean and include a king-size bed, a bathroom with a walk-in shower and large bath, and a balcony or terrace. The modern Superior Sea View Rooms provide guests with a comfortable home from home where they can unwind following a day exploring the spectacular island of Sri Lanka. These rooms include a king-size bed, a bathroom with a walk-in shower and a balcony or terrace from where guests can enjoy direct views of the ocean or beach. 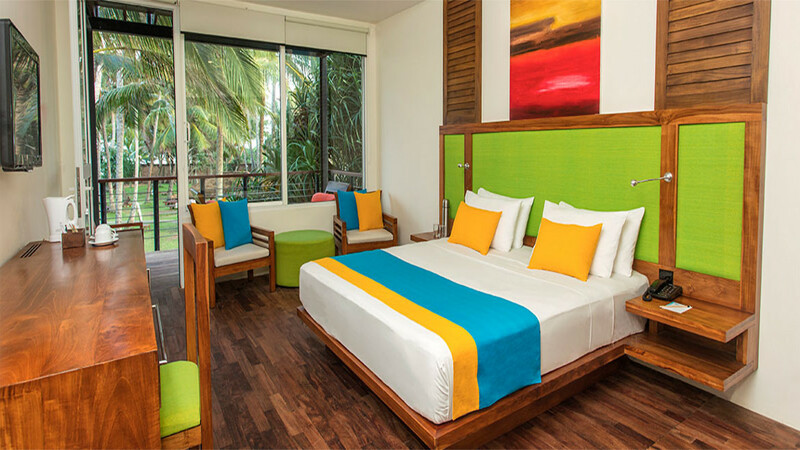 Offering stunning views of the beach and Indian Ocean, the Mermaid Hotel’s spacious Sea View Rooms feature all the modern comforts guests need for a delightful Sri Lankan getaway. 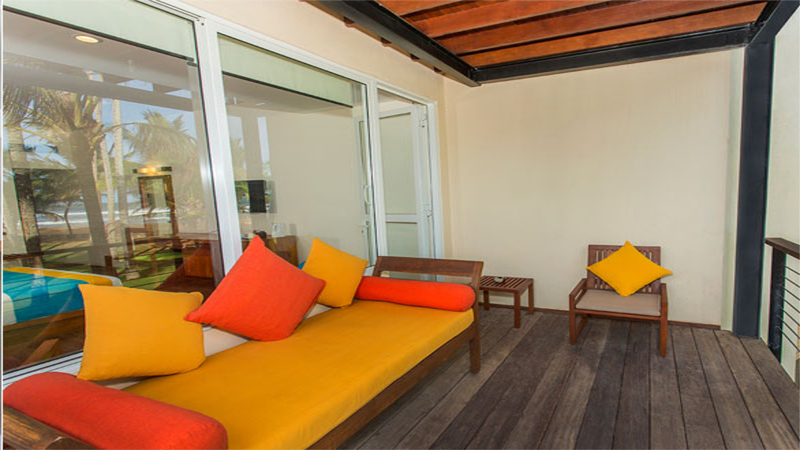 These rooms include a king-size bed, a bathroom with a walk-in shower and a balcony or terrace. Single rooms are also available. 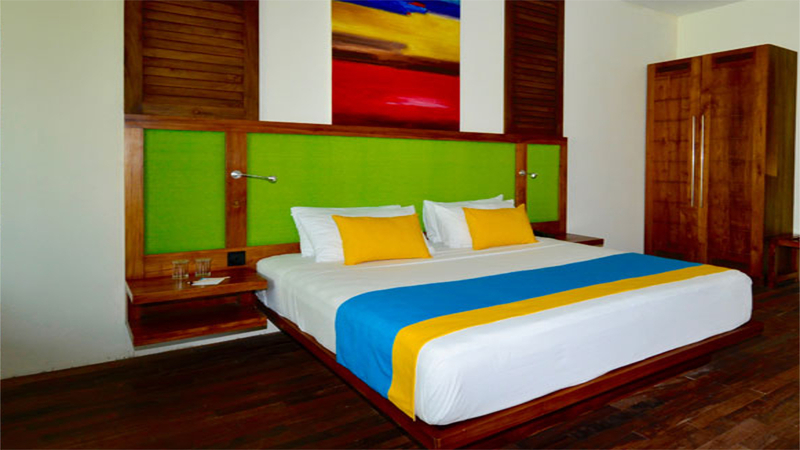 The bright Standard Rooms provide guests with a comfortable space to relax in during their stay at the Mermaid Hotel. These rooms feature a king-size bed, a bathroom with a walk-in shower and a balcony or terrace with partial views of the Indian Ocean. The Mermaid Hotel’s all-inclusive package allows guests to fully relax during their holiday knowing that all their meals and drinks are covered. The programme generally consists of breakfast (08:00-10:30), lunch (13:00-15:00) and dinner (19:00-21:30), all buffet style, served in the main restaurant. During meals soft drinks, beer, water and wine are offered. Locally produced alcoholic and non-alcoholic drinks like water, wine, refreshments, soft drinks, beer, spirits, etc. are served from 11:00-22:00 (except during meal times). Details are subject to change and you will be provided with full details for the all-inclusive package on arrival at the hotel. 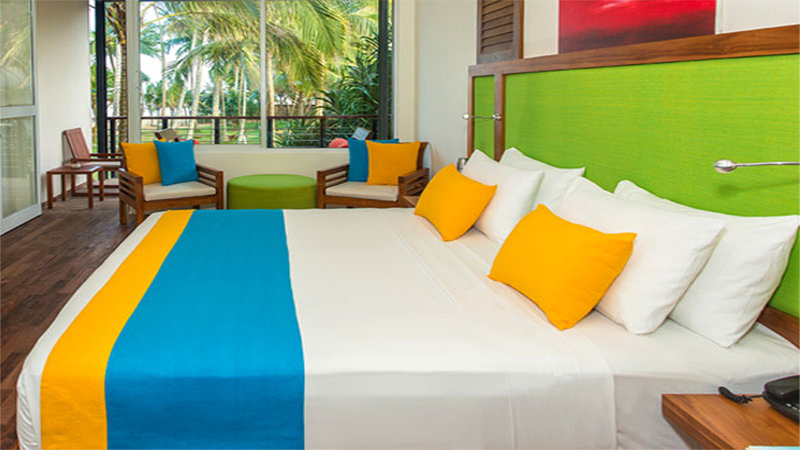 Guests have the choice of a number of dining options while staying at the Mermaid Hotel. Diners can select from a wide-ranging a la carte menu or enjoy a buffet meal at the main restaurant. A range of Sri Lankan specialities are available, including freshly prepared seafood, as well as an array of international dishes served as part as theme night buffets, with a range of wines available to complement meals. The restaurant also offers al fresco dining, while guests can enjoy a romantic dining experience in the garden, by the pool or by the beach.